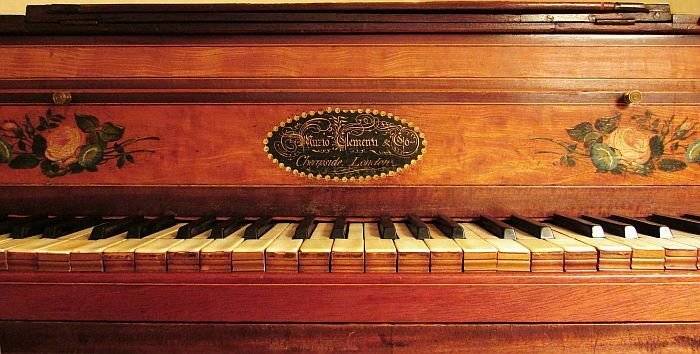 Muzio Clementi, 1805, London. 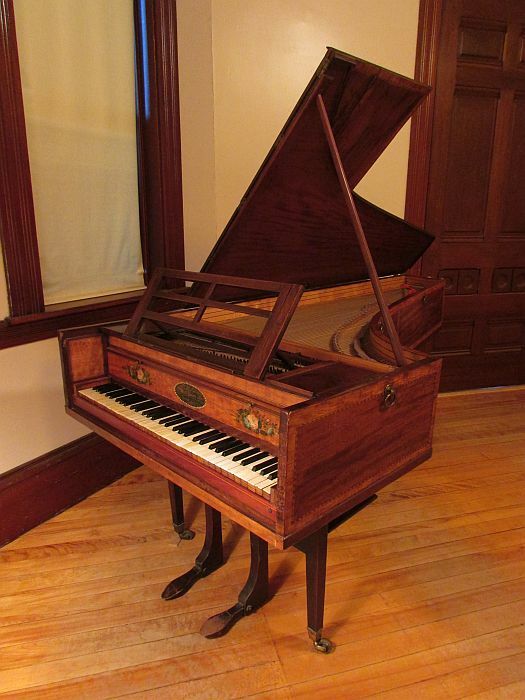 This piano helps to explain matters of compositional style in Haydn's "London" sonatas: Haydn, living in London in 1794, wrote his three last piano sonatas in an idiom particularly suited to English pianos of the time, and took a Longman & Broderip piano with him on his return to Vienna. 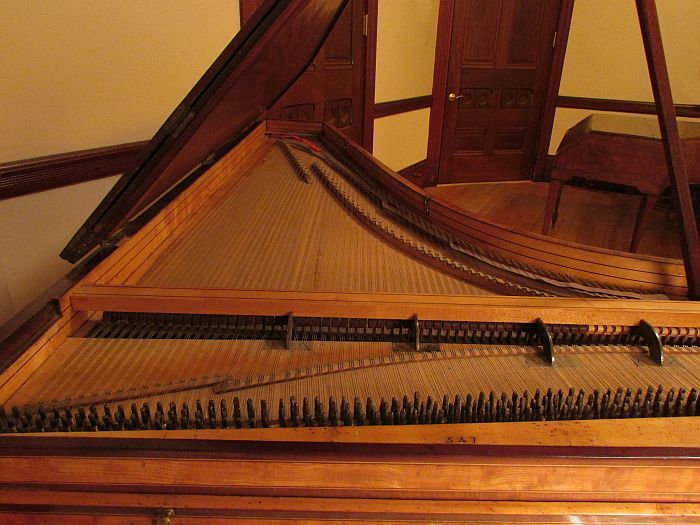 When Longman and Broderip bankrupted in 1798, the composer Muzio Clementi, a major shareholder, became a partner in the reorganized firm, which became known as Longman, Clementi & Co. 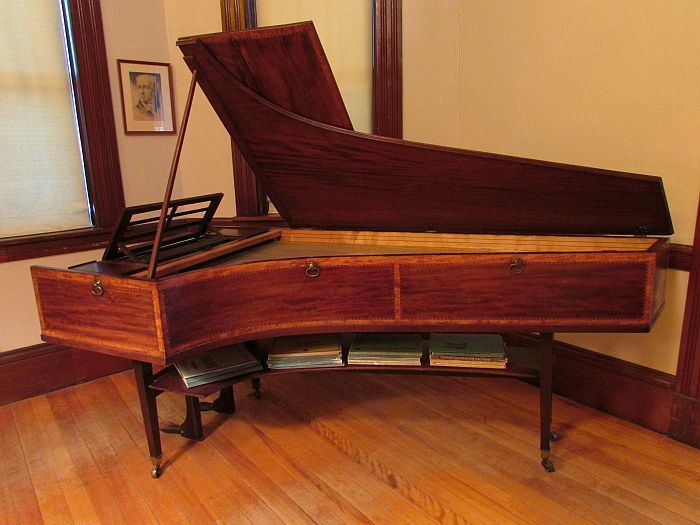 In 1801, Longman left to establish his own business; the present piano, made in 1805, bears only Clementi's name. This instrument is decorated with painted flowers and line inlays.